COMPARE THE TWO PHOTOS BELOW TO SEE WHAT WE MEAN. Prototype photo from the collection of John Riddell. First test model shown. Paint, rivets, final roof details, and step details have not yet been added. THE MOST DETAILED PASSENGER CARS EVER PRODUCED. PERIOD. In the early 1950s, Canadian National Railways placed one of the largest passenger car orders in railroad history. These cars were used on such famous trains as the Super Continental, the Ocean, the Panorama and our namesake, the Rapido. They continued on mainline and branchlilne service with CN and VIA until the late 1990s, and in fact some are still running on VIA trains in northern Manitoba and one has been resurrected as VIA's exclusive Glen Fraser lounge car! Today, CN's cars can be found on tourist railways all over North America and even on Canadian Pacific passenger trains. They are without doubt the most successful smoothside passenger cars ever built and over the next few years Rapido Trains Inc. will be producing museum-quality models of many of them. 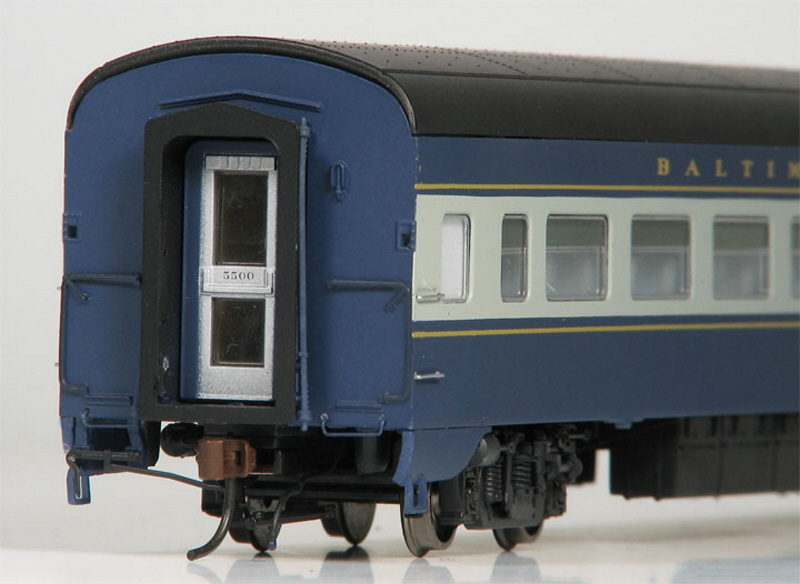 Our first two cars are the HO scale CANADIAN CAR AND FOUNDRY 1954 COACH and the PULLMAN E-SERIES DUPLEX SLEEPER. These were the most popular coaches and sleepers in CN and VIA's fleets. More cars will follow later in 2006 and 2007.